As the sign states, the Mt. 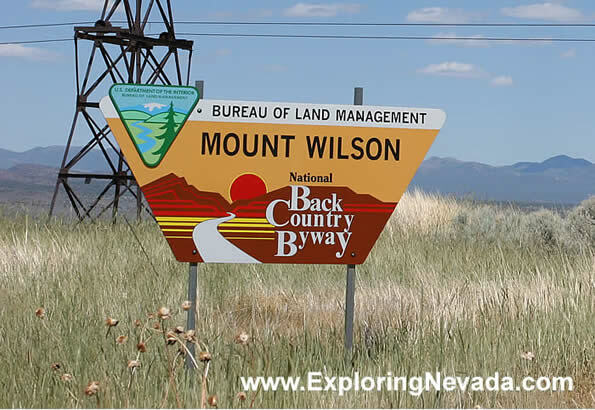 Wilson Backcountry Byway is a national byway and is managed by the BLM. There is NO sign marking the beginning of the drive at the Pony Springs Rest Area north of Pioche (northern entry point for the drive). However, in Pioche this sign clearly marks the beginning of the drive. The Pioche Aerial Tramway also runs right above the sign, making for a simple landmark.